NCP + Debut for Fashion’s Night Out! Hope to see you at Début this Friday for Fashion’s Night Out this year! We’ll be there performing some Bach and a piece written especially for this event by Trevor Gureckis, featuring violinists Amanda Lo and Tessa Sacramone, and flutist Yoobin Whang. 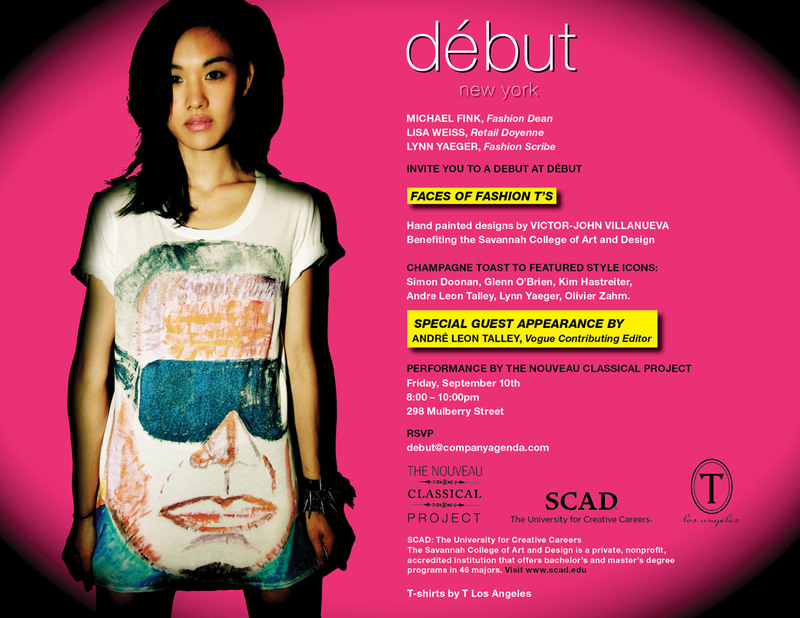 The girls will be performing in Début special edition Faces of Fashion T’s (if they aren’t already sold out prior to the event!). Each tee features a fashion icon, including a certain lovable VOGUE editor who is stopping by to say hello!